Wild & Wicked - that's how it should be! Freedom Skateboards invites you to this year's contest in Iserlohn (NRW). Go there, it will be really good! 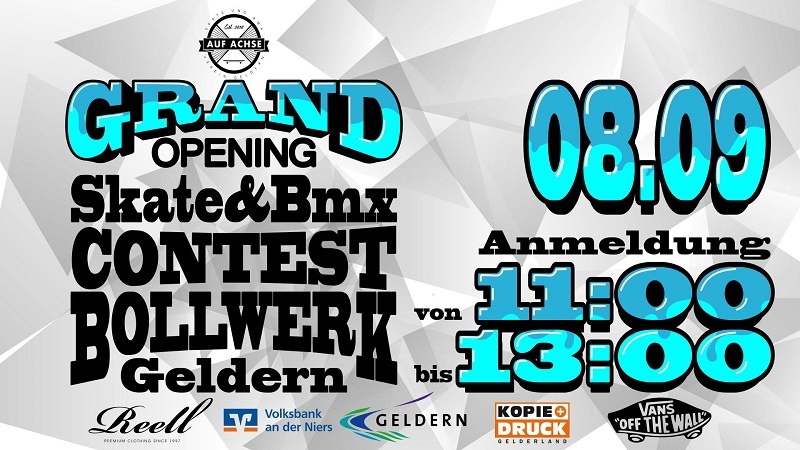 In Geldern (NRW) at the Bollwerk, Niederrhein, there´s a new park opening & the 20th contest follows! Skateboarders & BMXers are very welcome. Both events will take place on Sa. 08.09.!